As many as 32 hectares of new wildfires have been registered in the exclusion zone close to the Chernobyl nuclear power plant, report Ukraine’s emergency services report. 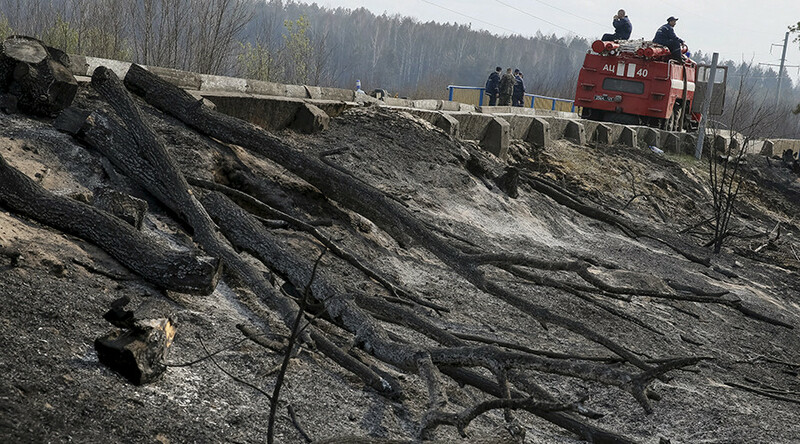 Firefighters are battling new fires that have flared up in the Kiev region. 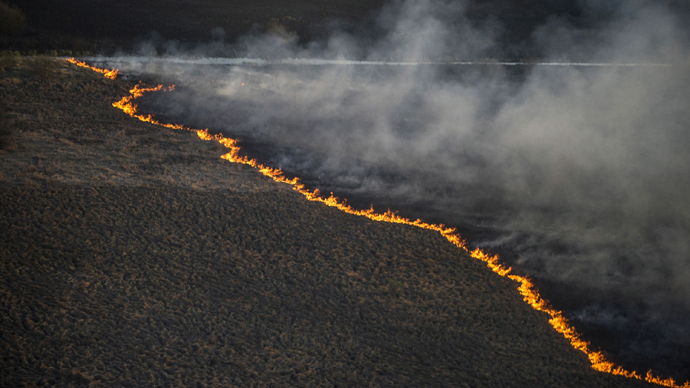 The fires started in three locations close to the villages of Zamostye and Kovshilovka in the Ivankovsky area. As of 7am on Sunday, the fires have been reportedly localized, with firefighters continuing to extinguish burning dry grass and forest cover. 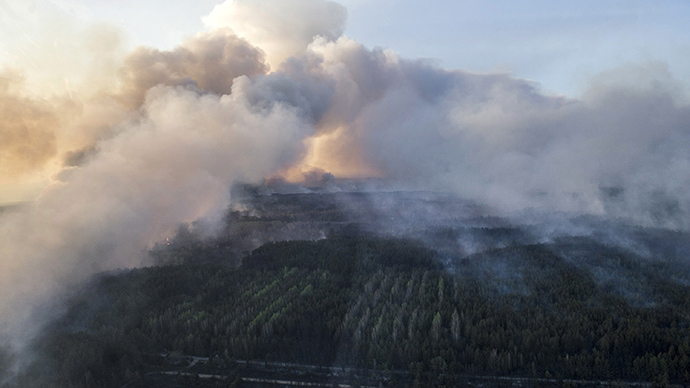 Shortly afterwards, Ukraine’s Ministry of Emergency Situations reported that another forested area, known as Chernobylskaya Pushcha, had caught fire. “The fire has spread to the abandoned villages of Kovshilovka and Buda Varovichi, located in the exclusion and unconditional (mandatory) resettlement zones,” the ministry said on their website. The situation has now been brought under control. 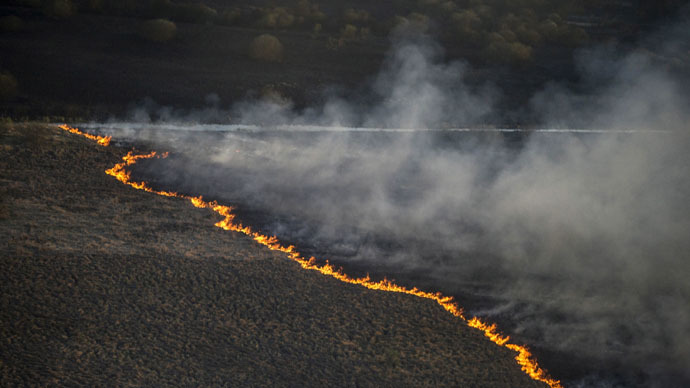 The last wildfire in Chernobyl's forest preserve area started on June 29 and was eventually estimated at 130 hectares of burning dry grass, cane and peat in multiple locations. It took a fortnight to put all the fires out. 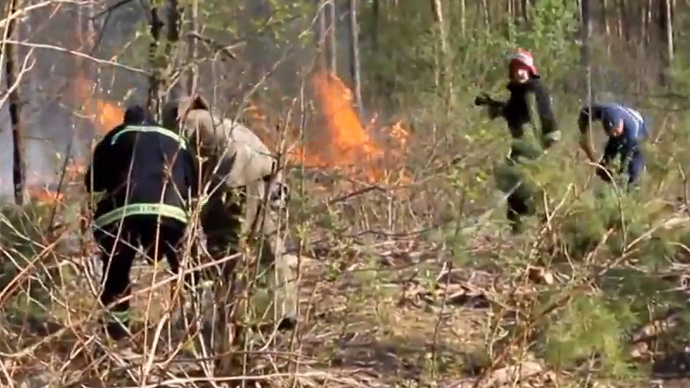 Forest fires in Chernobyl’s exclusion zone began in April this year. The head of the State Emergency Service of Ukraine Nikolay Chechetkin said that up to 70 percent of all the wildfires in Chernobyl exclusion zone are due to arson. Experts warned that radioactive nuclides absorbed by the foliage around Chernobyl nuclear power plant from the soil contaminated as a result of the 1986 disaster can easily be released into the air and have a cumulative negative effect on the health of those who breathe in particles. 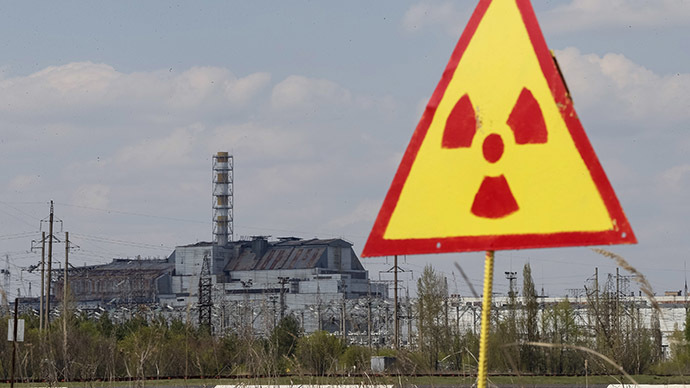 While firefighters were dealing with wildfires near Chernobyl from April through to July, the Kiev authorities gave assurances that there was no radiation threat. Territory engulfed by fires in the exclusion zone had reached 400 hectares by the beginning of May. However, locals recalling the 1986 catastrophe fear that just as then officials are concealing the truth. If the trees, which have been absorbing radioactivity for almost 30 years, are on fire, then radioactive elements “may spread with wind over long distances,” Yury Bandazhevsky, a scientist working on the sanitary consequences of the Chernobyl disaster, said in May.